Within our hearts is a longing--a profound cry of the soul for something our theologies can only point us to, never replace. ;Intimacy with God. ;Something that has no human or earthly substitute. ;Yet, if we pause to listen, we will discover how often God speaks to us through human and earthly means. He stands at the windows of the easily overlooked and the unlikely, tapping at the pane. He beckons us to places of encounter where we learn how well he understands the language of our hearts. ;At unexpected windows of the soul, we hear the voice of God. 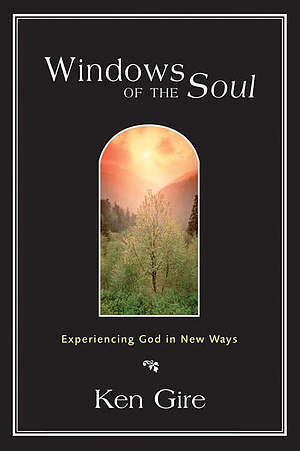 ;Windows of the Soul is a rare book, resounding with the cry for communion that is both ours and God's. With passion, honesty, and beauty, Ken Gire calls us to a fresh sensitivity to God's voice speaking through the unexpected parables that surround us: a child's need for significance ... the misunderstood sadness of a van Gogh masterpiece ... the eloquence of sunlight dancing on water ...;Gire points to a world infused with the voice of the One who can transform our backyard shrubs into burning bushes lit by his presence. His voice penetrates the raw material of our daily lives, speaking through Scripture and prayer, a painting or a poem, the remark of a friend or a night sky filled with stars. ;Windows of the Soul will open your eyes to a fresh way of seeing, hearing, and enjoying the presence of God in your life. Windows of the Soul by Ken Gire was published by Zondervan in March 1996 and is our 18421st best seller. The ISBN for Windows of the Soul is 9780310203971. Be the first to review Windows of the Soul! Got a question? No problem! Just click here to ask us about Windows of the Soul.